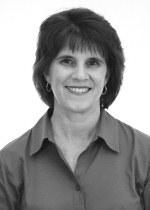 Lisa Banker, M.D., FACP is a general internist/hospitalist with eighteen years of inpatient and outpatient experience. Her most recent position was Medical Director for Eagle Hospitalists at Carolina East Medical Center. She has been involved in many patient safety initiatives at the facility and serves on multiple medical staff committees. Dr. Banker is currently President of Ideal Health Care, Inc., an organization which provides healthcare consultative services to clients in North Carolina, Virginia, and Georgia regarding risk management education for physicians and collaborative attorney/physician medico-legal analysis. She also continues to serve as a staff physician providing inpatient hospitalist care. Dr. Banker received her medical degree from the Medical College of Ohio in Toledo, OH and her undergraduate degree from the University of Notre Dame. She is board certified in Internal Medicine and a Fellow of the American College of Physicians. She is a member of the BCE coaching team at Carolina East Medical Center.